In recent months I feel I am forever discussing my awkward skin, hormonal, over exfoliated and generally throwing a toddler tantrum at the age of 'nearly' 48, skin. It doesn't stop me being me, I still love using a variety of products, but, I most definitely appreciate products that help soothe, calm and just generally remind me that my skin can have good days. 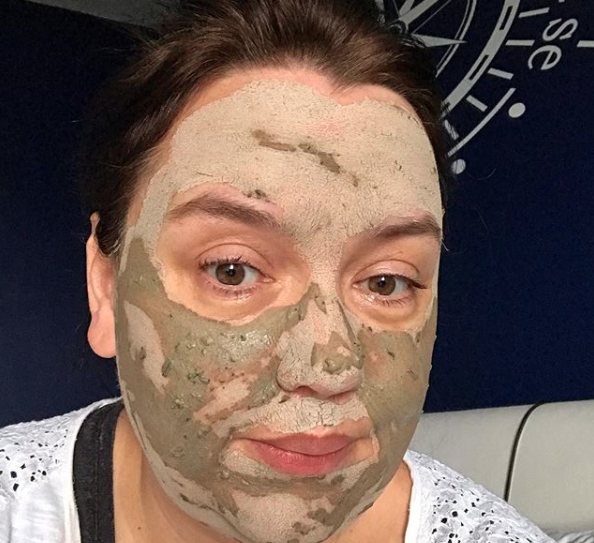 Vee Beauty LDN is a brand whose products I love, cleansers, lash serum, hair & scalp oil, face masks, THIS mask - probably, in fact, no, it is one of the best masks I have used. 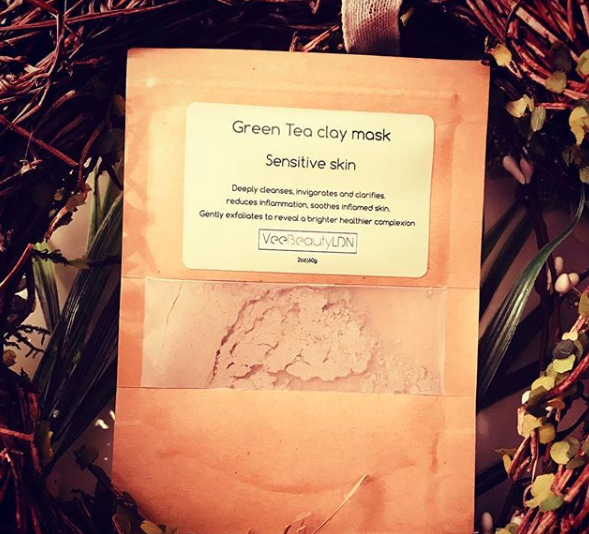 This Green Tea Clay masque was sent as PR, hence the envelope of product, it comes in a handy jar and accessories to work with the masque may be bought separately. This green powder, it's so delicate, can be mixed with a variety of ingredients, I prefer to use water and then I blend over my face with a flat headed foundation brush. The masque smells of tea tree, I find this so clearing for my head and my skin, it dries quite quickly and I leave it for 10/15 minutes, I like to place a hot cloth over my face to soften the mask and I massage my face with the cloth on, then I wipe away and reapply the cloth to remove the residue, on problem areas I often pat on a small amount and leave overnight. Over the last year, Vee Beauty LDN has been one brand that has persuaded me back to powder masks, the simple ingredients that are effective, caring for the skin and offer results every time. I thoroughly enjoy the alchemy of mixing and creating a blend, plus, sweeping it onto the face I find very relaxing. Using various clays, green tea and tea tree, this mask reduced the redness to the irritated areas of my face, it soothed and calmed them after my first use, a noticeable improvement and my skin was softer, the areas had been quite hard and dry, after using 3-4 times a week, I was astounded how well my skin responded to this powder of wonder. Then I used it all up and guess what? Yes, the redness appeared again, not as intense, as I have added a product to help, in a serum format, but, certainly, the change was present when every last speck of powder had been tipped eagerly from the envelope. For me, this green, head-clearing tea tree scented face mask is skin care at its very best, ingredients are chosen carefully, a blend that is effective, but, soothing and very caring for the skin, important for anyone with reactive skin issues. You can also catch up with the founder, creator and the fabulously beautiful lady herself, Vee, on Instagram, she is always happy to advise and support everyone who gets in touch.